If you are looking for information on the Dry Cleaning Station franchise business opportunity, Drycleaning Station franchises or Dry Cleaning Station franchising, then you have come to the right place. The Dry Cleaning Station franchise system will control a significant share of our markets by exceeding the expectations of the customers we serve. We will offer our services at pricing generally below the market and maintain quality standards greater than most dry cleaners. We will provide our employees with exciting and challenging, but stable and secure, career opportunities. We value inquisitive, innovative minds and reward provocative, productive individuals with vested interests in the success of the system. We believe that true success is a win-win proposition. We will not profit at the expense of our customers, employees, suppliers or the community. We know that their success contributes to ours and our success to theirs. 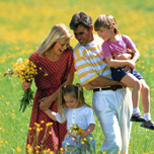 Dry Cleaning Station's goal is to provide the highest quality products and services at a price the customer will value. It is through this experience that will keep customer coming back time and again. Dry Cleaning Station's franchise support program begins with training at an existing facility where you are introduced to the total store operation. You learn about spotting, pressing, and finishing garments of many fabrics and styles. In addition, you learn how to operate, clean, and maintain your equipment. Customer service and good business management are also included. During the training period, we also offer some techniques for negotiating leases and landlord services. You will know how to work effectively with contractors and city planners and inspectors. Before you open, technical representatives from equipment manufacturers work with you to be sure you understand the equipment. 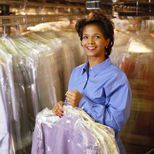 A Dry Cleaning Station staff member comes on-site to help you with additional training and your grand opening. No more fears during those crucial opening days. You can expect ongoing relationships with all corporate and technical representatives for as long as you own your business. Expert skills come with time and practice, under the careful guidance of corporate headquarters. Working together, we can achieve our combined business goals. Customer loyalty depends on quality work and reliable service. Much loyalty occurs when owners treat each customer as their most important one in the world. That's why we say Dry Cleaning Station "serves thousands one satisfied customer at a time." This industry's inventory can't spoil or grow out-of-fashion. Dry cleaning stores require a minimum number of workers and are only staffed six days a week, ten to twelve hours a day. Unlike some industries, this one does not require 24-hour days, seven-day weeks. The dry cleaning industry is nearly recession-proof. It provides needed services which don't disappear in economic slowdowns. These services are usually regarded as essential, so they aren't cut back when people try to establish no-frills budgets. 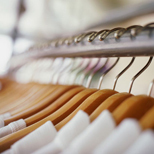 For all these reasons, the outlook for the dry cleaning industry is one of dynamic growth. People who are a part of the growth can help shape this changing industry as they shape their own economic futures. According to noted marketing professor, Thomas Stanley (who has surveyed millionaires since 1973), the dry cleaning industry creates one in five millionaires. Dry Cleaning Station is leading a revolution for quality and low-cost dry cleaning. This is done by creating new methods of efficient dry cleaning and business management. This is possible, in part, due to leading-edge technology. Leading-edge technology impacts all that you do. The number of employees required is reduced because of more efficient methods. New technology also provides impeccable quality and reliable service which customers expect and demand.